Dennis L. Scheelk, 75, of Grafton,OH, passed away on Monday, November 26, 2018 at University Hospitals Elyria Medical Center. He was born in Ladysmith, Wisconsin on September 3, 1943 to his loving parents, Lorence J. and Dorothy Ann (nee Doering) Scheelk. Dennis enlisted in the U.S. Marine Corps on September 15, 1960, stationed in California and he was honorably discharged on September 14, 1964. He married his beloved, Sandra J. (nee Oaklief) on July 1, 1964. Dennis retired from Champion/Dairypak after 45 years of service. He was a member of the American Legion Riders Post 717 in North Ridgeville, OH and the West Shore Water Ski Club. He enjoyed riding his motorcycle, gardening, golfing, fishing, hunting, watching the Green Bay Packers and spending time with his family and friends. He is survived by his beloved wife of 54 years of marriage, Sandra J. Scheelk; loving daughter, Tamara (John) Soto; loving granddaughters, Heather (Matt) Abahazi, Megan (Billy) Skaggs, Denise (Joe IV) Stanziano, and Savannah Soto; cherished great-grandsons, Colton Soto and Joe Stanziano V; sisters, Delores (James) Lane, Audrey (James) Polson, Betty Austad, Gayle Nelson, and Arlene Calhoun; brothers, Robert (Janice), Larry, Henry (Karen), and Richard Scheelk; and brother-in-law, Max Welton. He was preceded in death by his parents, Lorence and Dorothy Scheelk; brother, Laverne Scheelk; sister, Patsy (Welton); and brother-in-laws, Ray Austad, Stoney Calhoun, and Leif Nelson. The family will receive friends at Reidy-Scanlan-Giovannazzo Funeral Home & Cremation Services, 2150 Broadway, Lorain, OH 44052, (440) 244-1961, on Sunday, December 9, 2018 from 1:00 PM – 5:00 PM. Funeral services will be held at the funeral home on Monday, December 10, 2018 at 10:00 AM, Pastor Chuck Behrens, officiating. 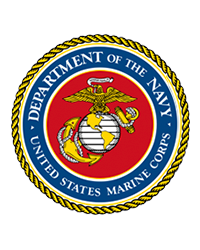 Christian burial services will be held at Ohio Western Reserve National Cemetery in Seville, OH with military honors by the U.S. Marine Corps. Memorial donations may be made in Dennis’s memory to the American Legion Post 717, 8820 Bender Road, North Ridgeville, OH 44039. Online condolences and gifts of sympathy may be shared with the family by visiting www.rsgfuneralhome.com.